Recent days, I am quite engaged with various activities around the world and the time allocated is thinning day by day! The recent H1B Bill “High-Skilled Integrity and Fairness Act of 2017“ introduced in the house by Rep. Zoe Lofgren, have been blown out of proportion and creating confusion and anxiety in many current and prospective H1B visa holders. Due to the same timing of both of the executive order and H1B bill news, they are combined and facts are misinterpreted by many news agencies, which is the sole reason for the confusion. We will try to articulate the reality to clear all the confusions. First, let’s look at both of the news separately. If you have not read, first read Leaked Executive Order on H1B, L1 Visa by Trump. Now, Let’s look at the other news. Below is the summary of the H1B 130K Bill. H1B Program Changes: For H1B Dependent Employer, increase the current wage exemption level from $60,000 USD to about $130,000 USD or higher, which is set based on 35 percentile points over the median of annual wage for “Computer and Mathematical Occupations (Group 15-0000)”. Basically set at 85 percentile points. The key thing to note is, it only applies to H1B Dependent Employers. Also, eliminate the master’s degree exemption for H1B Dependent employers. Transparency for H1B Holders: Employers should provide immigration paperwork to H1B visa holders within 3 years from the date the petition was filed. I believe, this is to avoid employers locking H1B holders and treating them unfairly as they hold H1B, Green Card paperwork. Change Prevailing Wage System for H1B LCA: Increase the prevailing wage requirements by replacing Level 4 wage system to a 3-level wage formula. 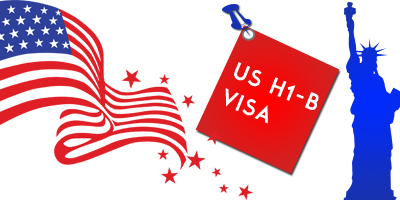 Market-Based H1B Visa Allocation: prioritise allocation of H1B Visas based on who pays more. First Priority to employers who pay 200% over Level 3 prevailing wage, then 150% of Level 3 prevailing wage. Next Priority to employers who pay 200% over Level 2 prevailing wage, then 150% of Level 2 prevailing wage, similarly for other levels. Also, no voluntary authorizations by employees to pay reduced wages, the employer has to pay full wages all the time. H1B Visa for Small and Startup Employers: Reserve 20% of the H1B cap for small and startups with 50 or fewer employees. Such employers cannot put their employees at third party site for more than 30 days. Visa Provisions for Students, Other Visa Holders: Provide dual intent for F1 students status, so that they are not denied visas based on potential immigrant option. Also, provide employment and travel authorization for such visa holders with approved employment-based petitions waiting for their Green Card. Paperwork Burden & Enforcement: Remove administrative cost to employers eliminating the need to file H1B amendment with USCIS upon work site change, if they have filed LCA for the new place. Also, USCIS to provide H1B violations data to DOL for investigations and enforcement. Now, Where is the confusion of 130K Wage? Many ignore the caveat called H1B Dependent employer, which is the big trick (see below).The wage increase of 130K applies only to H1B Dependent Employers. The 130K wage is based on the fact of 35 percentile points over the median of annual wage for Computer and Mathematical Occupations (Group 15-0000) for 2015, basically set at 85 percentile points. Below is the table from Department of Labor. So, Who is an H1B Dependent Employer? What’s the reality? 25 or less full-time employees and at least 8 of them are H1B workers. 26 to 50 full-time employees and at least 13 of them are H1B workers. 51 or more employees, of which 15% or more of the employees are H1B Workers. If you look closely, except few large outsourcing Indian MNCs and IT Bodyshop consulting companies in US, many large global companies do not even fall under H1B dependent employer. So, NOT to panic everyone, this 130K does not apply to every single H1B petition. There are some provisions proposed on changing prevailing wage levels from 4 Levels to 3 Levels like below, but it will not really change all the prevailing wages to 130K USD. This wage is mentioned in LCA and you can read What is LCA and Why it is required. I will cover the details of the below formula in another article and how it change numbers across and assess the impact. Level 1 = approximately the mean of the bottom 1/3 of wages surveyed. Level 2 = just under the mean of the bottom 2/3 of wages surveyed. Level 3 = just under the mean of all wages surveyed. Level 4 = approximately the mean of the top 2/3 of wages surveyed. Level 1 = mean of bottom 2/3 of wages surveyed. Level 2 = mean of all wages surveyed. Level 3 = mean of top 2/3 of wages surveyed. That’s the summary folks, hope it clarifies and it is clear now. Do not panic. Whats the current status on the H1B Bill? Is it Passed in 2017? It was just introduced in the House on Jan 24, 2017. As of now, the Bill has no co-sponsors and the representative is from the Democratic party, which is opposition now to Trump administration. The odds of getting this bill passed as is are very slim. There are other H1B bills too, we have H1B Bills Tracker under Trump for high-level info. It has official links for you to check status. Nothing will happen overnight, so stay tuned. Any other points that I missed? Any other confusions?